The single-use LD20 liquid flow sensor provides a safe, precise and reliable measurement of low flow rates, particularly those which occur in clinical applications by directly measuring the liquid flow rate at the point of interest to ultimately achieve more effective patient treatment and improved safety in the process. As health providers are becoming increasingly interested in incorporating smart medical devices to achieve a wide variety of purposes in the medical environment, ranging from point-of-care treatment, patient compliance, complex drug administering and wearable designs, the LD20 meets these growing demands. 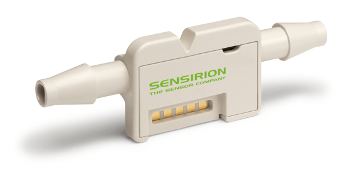 By combining Sensirion’s proven liquid flow sensing technology, the LD20 is a single-use product that exhibits a cost-optimized design capable of meeting a wide variety of requirements in high volume applications in the medical, life-science or food industry. Furthermore, the LD20 provides users with a bidirectional measurement of flow rates ranging from 1000 ml/h down to single-digit ml/h, all the while reliably detecting common failure modes including occlusion, free flow and/or air bubbles, at an unprecedented speed and sensitivity. In terms of its cost effectiveness, the LD20 series significantly reduces the work performed by the flow sensor while still ensuring that easy fluidic, electrical, and mechanical connections are maintained through the operation of this sensor. The utilization of either barbed or luer lock fittings further guarantee the secure and straight-forward integration of the LD20 into the fluidic line, such as a urinary catheter or infusion set. Note that the utilization of inert wetted materials also provides an outstanding chemical resistance and excellent media compatibility to this instrument. The utilization of a LD20 sensor is also capable of accurately measuring drug delivery rates in real time, thereby allowing drug therapies to become more effective as they can be more easily monitored and controlled. In addition, this series of sensors allow medical device manufacturers to further improve the safety, performance, and complete reliability of their products to ultimately benefit the lives of patients and care givers. One of the biggest challenges that clinicians face during medical procedures and therapies involves the ability to accurately measure and control the lowest flow rates at a microliter per hour range. Most of the time, the success of patient outcomes following drug therapies are highly dependent upon the reliability of and continuous drug administration in such low flow regimes. While various countermeasures have been evaluated and introduced, this area of medicine still requires novel technologies to be developed. Therefore, the utilization of a single-use liquid flow sensor, like the LD20 series, capable of measuring the lowest flow rates while detecting common failure modes quickly and reliably provides one resolution to this growing concern in the medical field. 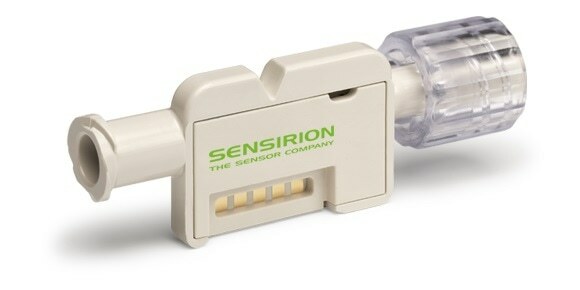 By utilizing Sensirion’s unique CMOSens®Technology, the LD20 liquid flow sensor exhibits a superior sensitivity that enables its ability even the smallest changes in the flow rate. For example, when the LD20 is integrated into an infusion set, it exhibits an exceptional sensitivity in detecting the regular peaks in the infusion flow rate that are produced by the oscillating back pressure of the patient’s venous pulse, which ultimately represents the ability of the sensor to detect a patient’s heartbeat. The ability of the LD20 to detect the patient’s heartbeat on the flow rate is a direct indication of an intact connection of the infusion cannula to the vein of the patient. 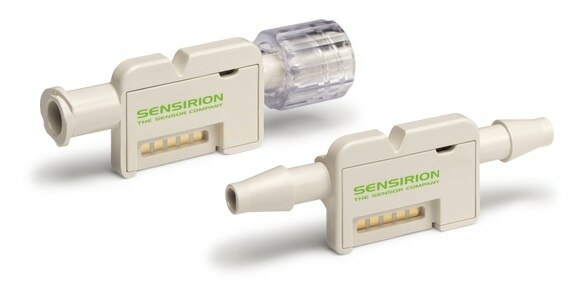 Therefore, when an absence of the pulsation is detected, which can occur as a result of a kink in the system, some type of disconnection, the rupturing of the tubing or a dislodged infusion cannula, the LD20 sensor is capable of recognizing that a connection has been interrupted. By evaluating the sensor signal, the LD20 offers clinicians the unique ability to quickly detect a potential infiltration and ultimately prevent potentially harmful consequences that can occur to the patient.